Three class-leading firefighting trucks and a state-of-the-art Operations Support Unit (OSU) – worth a total of more than $2.5 million – have hit the road in North Queensland. Minister for Fire and Emergency Services Craig Crawford today (Tuesday) launched the vehicles at South Townsville Station. 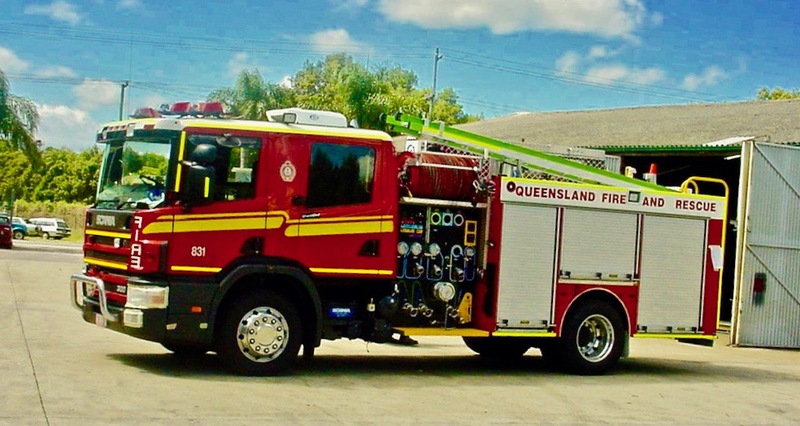 The three new fire trucks will be stationed at Collinsville, Bowen and Charters Towers to support operational demand in the region, while the OSU will be stationed at Woodlands Fire and Rescue Station. Mr Crawford said the new vehicles reinforced the Palaszczuk Government’s commitment to ensuring fire and emergency service personnel have the resources “they need to continue their high standard of service to the Queensland community”. “The Palaszczuk Government is injecting almost $70 million into the Queensland Fire and Emergency Services (QFES) over two years as part of a Fire and Rescue fleet renewal program,” Mr Crawford said. “The Premier has also promised to invest $29.5 million over the next four years to boost Queensland’s fire and emergency services – with an additional 100 firefighters and 12 fire communications officers state-wide. Member for Mundingburra Coralee O’Rourke said the three new fire trucks were an investment of more than $1.6 million in the region, and an important addition to existing firefighting resources. “These three vehicles are fitted with technology that is the first of its kind for North Queensland,” Mrs O’Rourke said. Member for Townsville Scott Stewart said the $980,000 OSU will provide significant support to the region during major events and disasters. “The OSU will allow personnel to operate from the scene of a disaster, supporting everything from communications to storage of equipment and supplies,” Mr Stewart said. Member for Thuringowa Aaron Harper said the new trucks and OSU will enhance community safety in the region. “The Northern Region services an extensive area of 600,000km - from Ingham in the north, out west to the border down to Birdsville and back to Bowen in the south,” Mr Harper said. Queensland Fire and Emergency Services (QFES) Northern Region Acting Assistant Commissioner Michael O’Neil said the three new trucks were fitted with “all the equipment needed to handle any situation”. “These trucks allow crews to maximise on-board water and foam supplies and the Compressed Air Foam System (CAFS) expels a foam that can be propelled further than water, sticking to surfaces to supress oxygen, fuel and heat,” Mr O’Neil said. He said the OSU transforms into a fully operational command centre, supporting personnel on the ground during large-scale events including fires, floods and natural disasters. “QFES responds to a wide range of incidents including bushfires, structure fires, rescues and traffic crashes, and these vehicles are a fantastic addition to our fleet and will enhance operational capability in the region," he said.